"Pronskstilleven," is a 2015 mural by Gaia, on the RUPCO building behind Chronogram's uptown office. 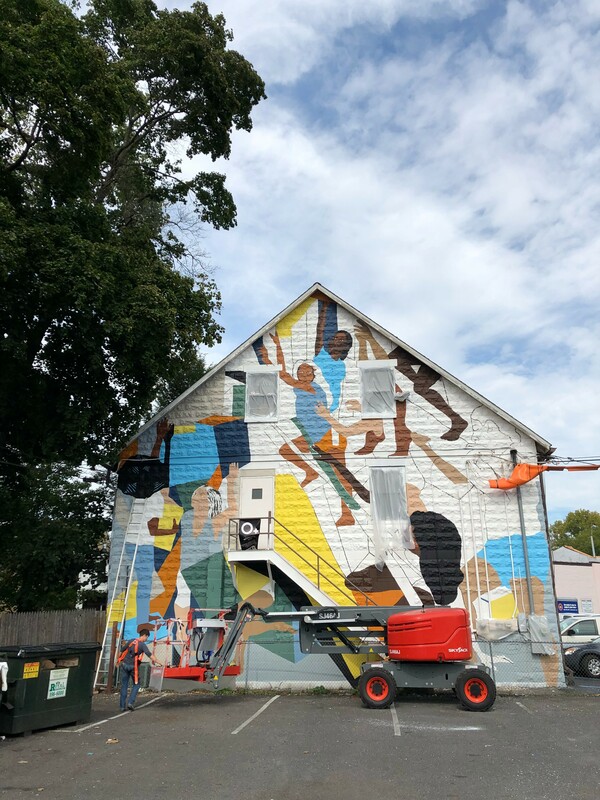 Over the past 8 years, many of Kingston's drab or underutilized walls have been reclaimed by artists, transforming the city's vertical expanses into a kaleidoscope of color and creative vision. These murals are indelible souvenirs of O+, which to date has added 29 outdoor artscapes to the city. The festival returns tomorrow for another weekend-long celebration of art and wellness, with a stacked lineup of music shows, art shows, and performance pieces. Plus, seven(!) new murals are in progress for 2018. Here is a guide to help you find them (and a sneak peek to get you excited!). If you'd like to trace past years' murals, here is an interactive map of O+ permanent murals and public art installations. 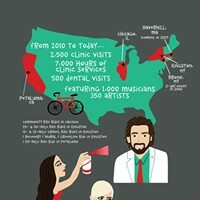 boogieREZ works in every medium from digital illustration to photography to murals and installations. This eye-popping mural lights up the side of Eddy's as you cruise through Broadway. You may have walked past the narrow alleyway between Key Bank and Citizens Bank on Wall Street a hundred times without noticing it. 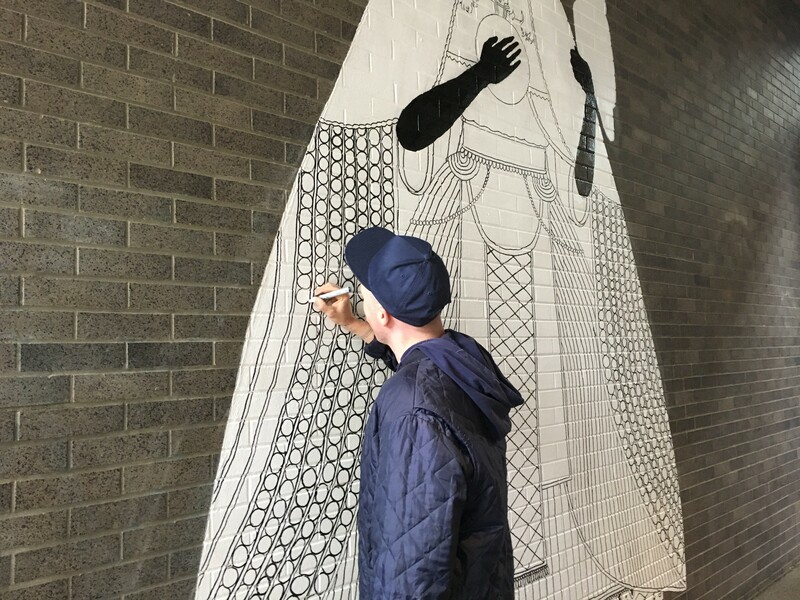 But now there's a reason to visit—Lytle's new black and white mural depicts a beneficent woman with an owl, protecting the passerby. Check it out on your way to Kingston's new lounge, Crown. 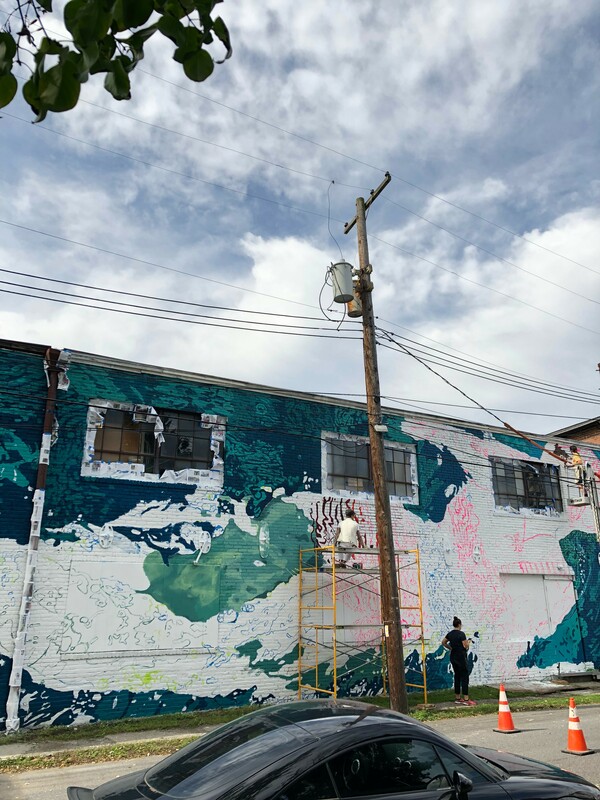 After this year, nearly every exterior surface of the Keegan Ales building on Saint James street will be covered in O+ mural art. Aside from the delicious beer brewed and served inside, the art makes this a Kingston destination worth the trip. 4. Jess X. Snow / Layqa Nuna Yawar "Survivor Love Letter"
SurvivorLoveLetter is a call to survivors of sexual violence and their loved ones to publicly celebrate their lives and share their stories. Jess X. Snow is a queer Asian-Canadian public artist, filmmaker, poet and educator, whose work explores themes of survival, memory, and our relationship to the Earth. Layqa Nuna Yawar is a migrant latinx artist, large scale muralist, agitator, educator and organizer born in Ecuador and based out of Newark. Local artists Dina Kravstov and Mat Shulze are spiffing up the future home of Radio Kingston Annex. They share a focus on reconnecting people to nature through art. 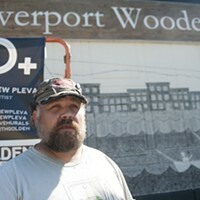 There are no photos of this mural as of yet, so you'll just have to swing by to check it out. Lindsey Wolkowicz is a multidisciplinary artist whose multimedia collage-style work explores the relationship between the human body and the spaces and situations it occupies. Her colorful mural climbs up the side of the Anne Hebard School of Ballet on Broadway. This neighborhood in Midtown Kingston is picking up speed with an ecosystem of new businesses—Village Coffee & Goods, Outdated Lite, Lite Bright Neon, and starting tomorrow, Lis Bar. This mural on the side of Lite Brite's building is all the more reason to visit.